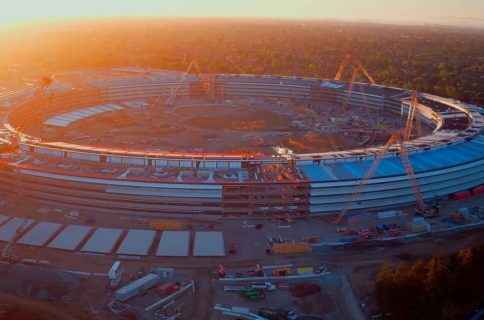 Apple’s Campus 2 continues to take shape, as evidenced in the latest drone footage. 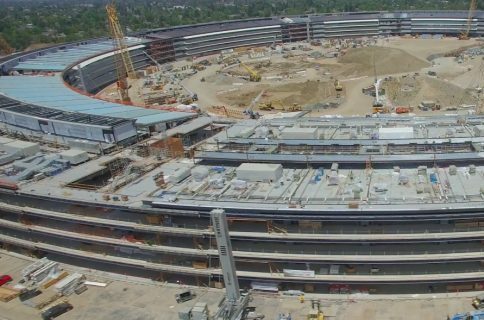 The folks over at AppleInsider used their DJI Phantom 2 Vision Plus to capture new video showing the continued progress of the construction site, which now has large amounts of concrete poured and several cranes moving about. The earth-built ramps previously used to gain access to the site are now gone, and work on an underground channel access has begun. The plan is to connect the main employee entrance off of Wolfe Road to the garage underneath the main Campus 2 building, as well as the two above-ground parking garages. The first of the two garages is rising rapidly, with today’s video showing it has been built up to the third level. The two structures will provide parking spaces for over 5,000 cars visiting the campus. 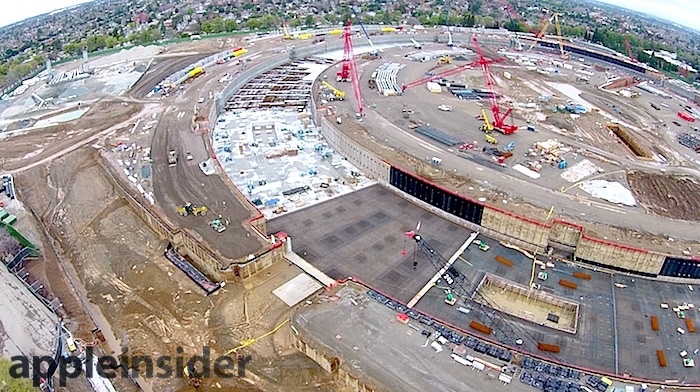 Apple’s 120,000 square foot event center, which is costing them $160 million to build, is also progressing very nicely. 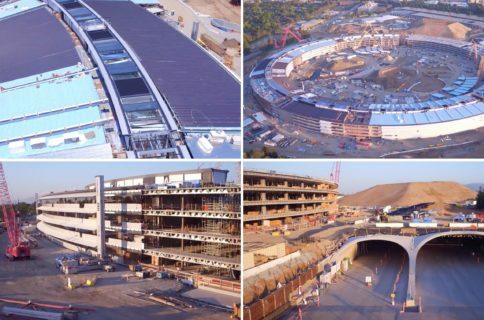 Steve Jobs himself pitched the Campus 2 project to the Cupertino City Council in 2011, proudly proclaiming that it would feature the “best office building in the world,” run completely on renewable energy, and be home to more than 12,000 employees. Phase one of the project is expected to be finished by 2016.